8: Palm Springs Off-Off-Off-Broadway - "Arranged by Denis Moreen"
And sand kissing a moonlit sky . . .
Its voice enthralling . . . In 2006 my partner Rob and I decided we wanted to live in warmer weather (déjà vu all over again), so we moved to Palm Springs. 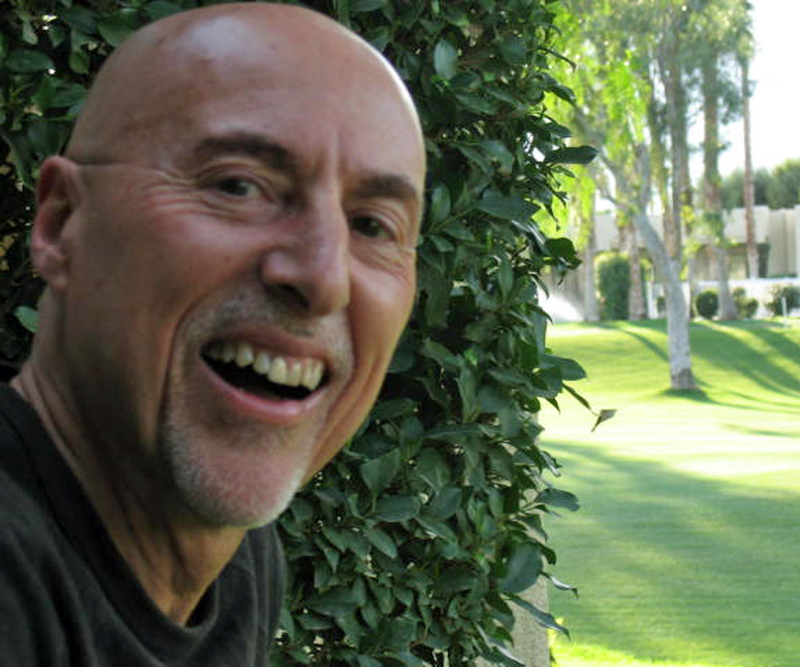 Having retired from full-time teaching in 2000, I looked forward to a life of leisure in the Coachella Valley, perhaps doing a little music work on the side. Silly me -- I soon found out that being "retired" means working harder than ever (but for less money). 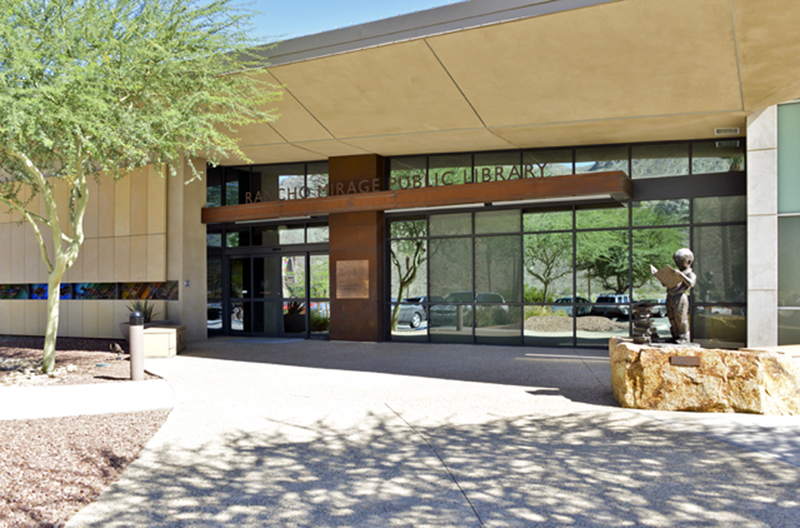 My move to Palm Springs coincided with the opening of the lovely new public library in Rancho Mirage in 2006. Many of my "retirement" hours have been spent doing reading and 'riting and 'rithmetic in this inspiring facility -- in fact I'm typing these words even as we speak. 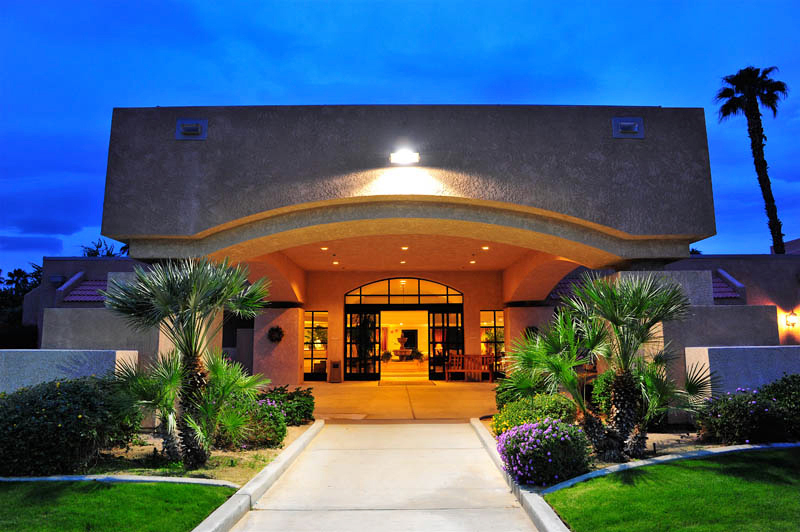 After settling in Palm Springs, my first continuing venue was at The Fountains at the Carlotta, a retirement community in Palm Desert, where I directed their choral group. 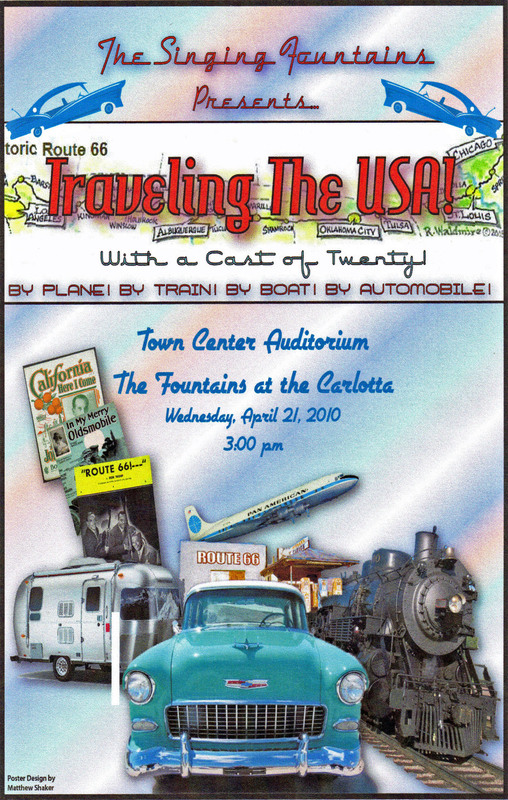 In 2010 I arranged a program of songs about traveling the USA for the Carlotta Singing Fountains. 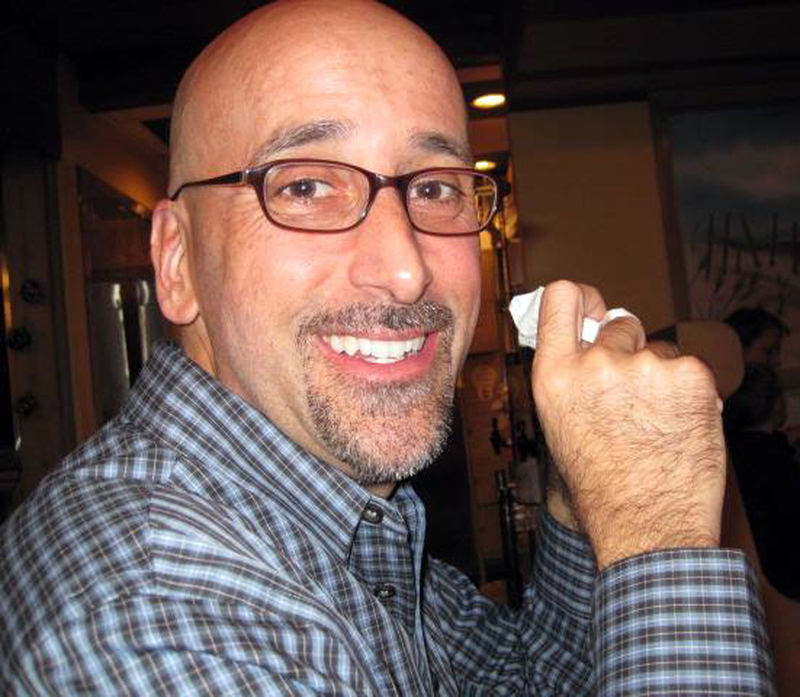 At that same time I was working as musical director for Justin Blake's stage production of "No Way To Treat a Lady," whose cast included local actor Matt Shaker. Matt surprised me by designing a wonderful poster for the Singing Fountains event. The concert performance included a heart-warming rendition of "Anywhere I Wander," sung by resident member Agnes Page. Another Palm Desert venue emerged in 2010, this time at a condo community named Hidden Palms. Singer Ron Cohn wanted to present an annual cabaret show, and what better place than in his living room? Thus was born "Hidden Palms Salon," an intimate space for twenty (twenty-five if everyone snuggles up). 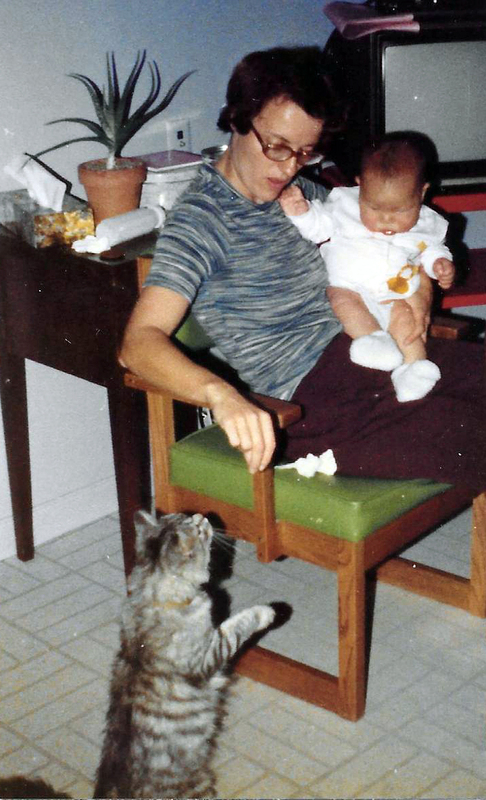 A few years into our run, I began arranging special material which Ron and I could sing as duets. The 2015 song "When the Red, Red Robin" became a sort of tour de force wherein I performed on both piano and ukulele (almost at the same time). One of the dreams held by all performers in the Palm Springs area is to "play the McCallum." My dream came true in 2010, when California Desert Chorale was invited to participate in a gala fall concert. As it turned out, I not only played-at but also arranged-for the theatre. Artistic Director Tim Bruneau asked me to write a special arrangement of "The Star-Spangled Banner" for the concert. Putting on my best "what-shall-I-borrow?" arranger's hat, I decided to build my arrangement on two previous versions of the national anthem. 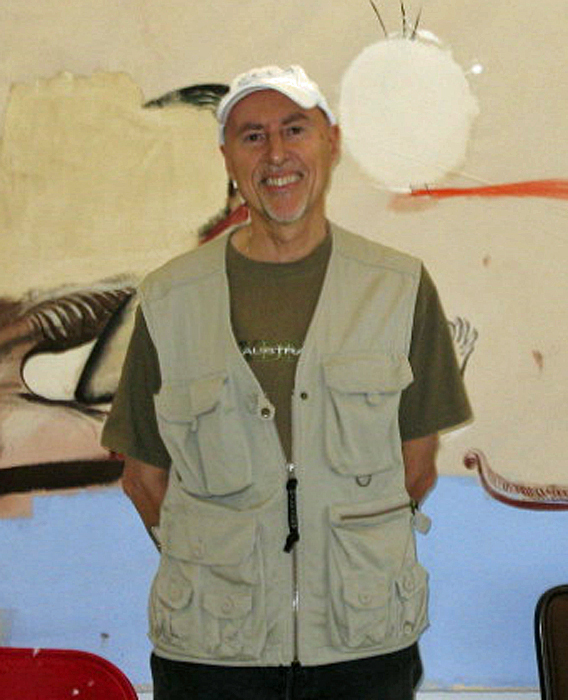 In 1984 my old friend and colleague Louis Magor had arranged the work when he was directing the San Francisco Boys Chorus, in an cappella version for sopranos and altos. 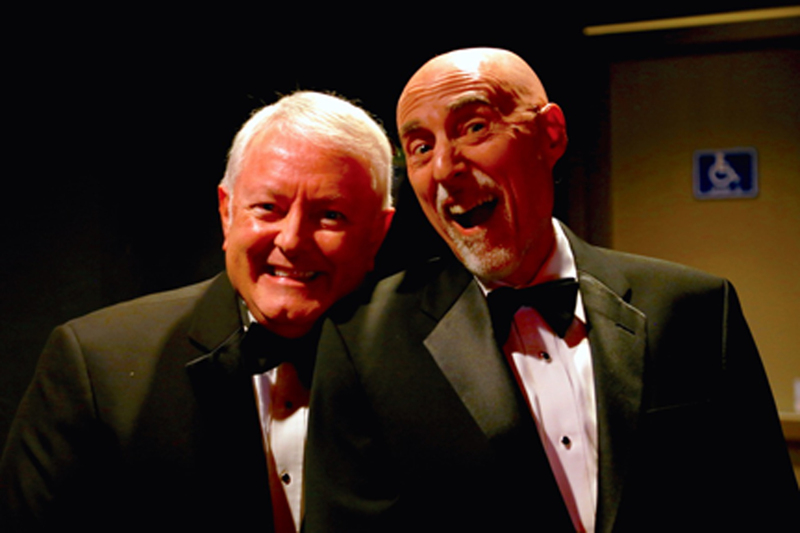 Then in the 1990s my newer friend and colleague John Sullivan had taken Lou's arrangement and re-arranged it for Ragazzi Boys Chorus, by adding parts for tenors and basses, still a cappella. So, continuing their tradition, in 2010 I took Lou+John's arrangement and re-re-arranged it for California Desert Chorale, adding an introduction, parts for adult voices, and a piano and instrumental accompaniment. I don't know whether Francis Scott Key is rolling in his grave, but, lest there be any cosmic repercussions, in the photos below I want to give full credit to the triumvirate of men responsible for the Lou+John+Denis arrangement. 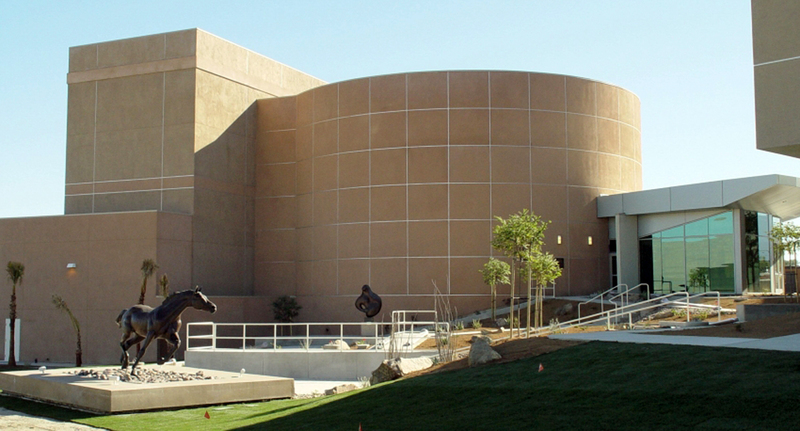 2007 saw the completion of a new venue in town, with the rather unwieldy name of "Indian Wells Theater at California State University at San Bernadino, Palm Desert Campus." It became referred to as the "Indian Wells Theater," which added to the confusion, seeing as the theater is not actually located in the adjacent town of Indian Wells. 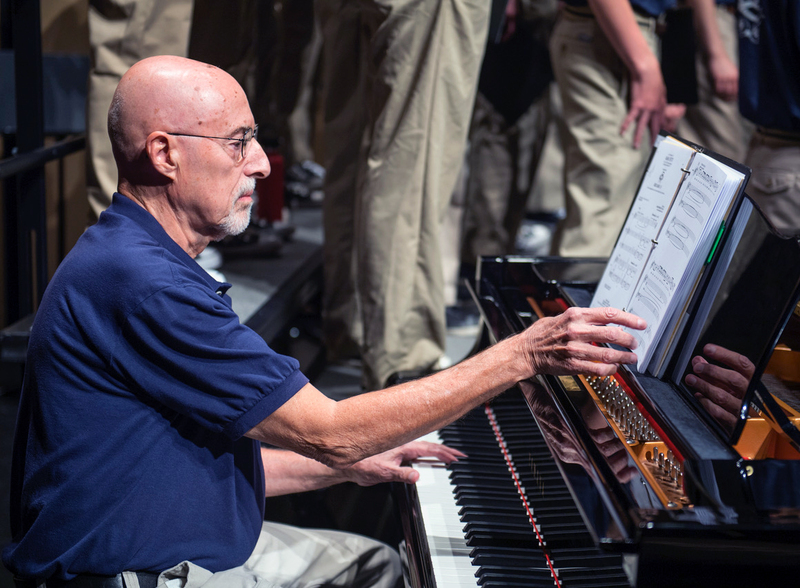 California Desert Chorale was the first group to perform at the newly opened venue and has presented many concerts there in subsequent years. 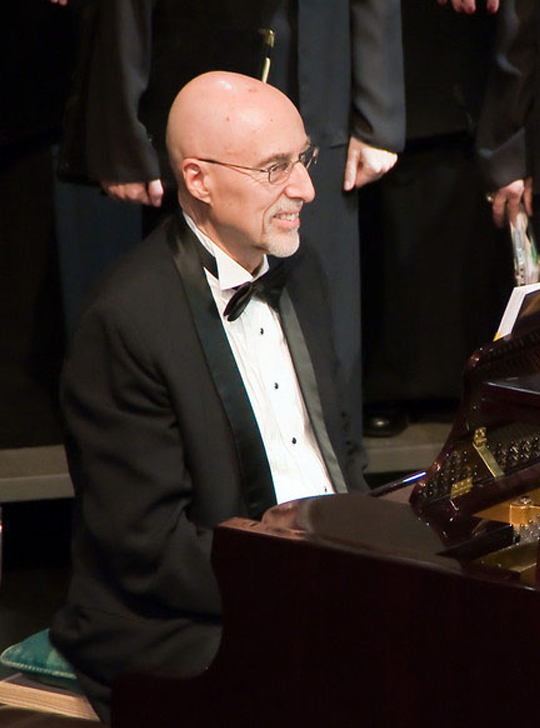 In 2014 the Chorale planned a program featuring works by British composers. As part of a medley of songs by Andrew Lloyd Webber, artistic director Tim Bruneau asked me to perform a piano solo of "King Herod's Song" from Jesus Christ Superstar. One thing led to another (all described in Tim's narration on the recording). 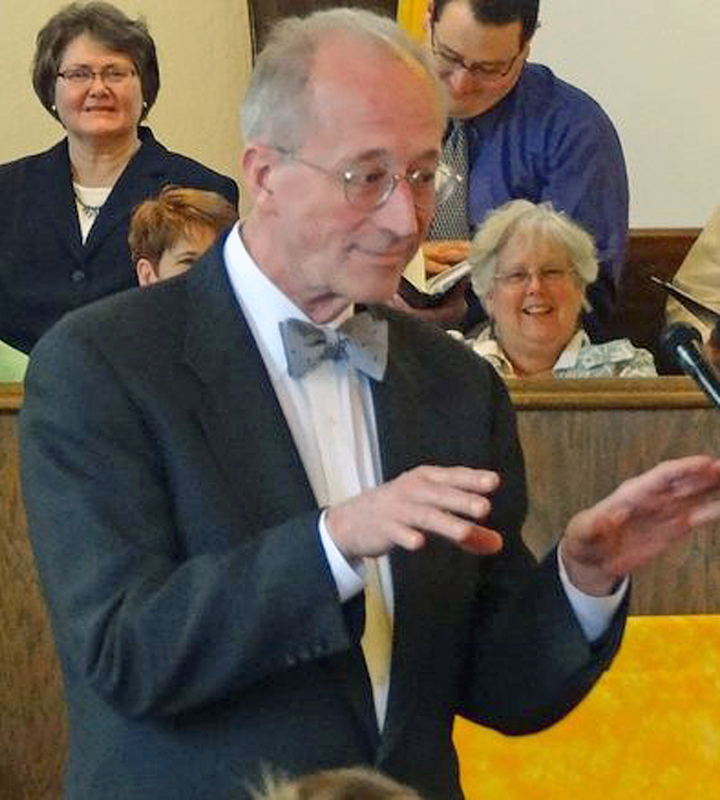 In one of those classic show-biz bits that the audiences loved, each night right before the work began I would transform myself into an old-style ragtime pianist by exaggeratedly doffing a straw hat, in vivid contrast to my black tux. Viva la Joplin. One of the highlights I cherished from my San Francisco production Spoonful of Sugar was the Jacques Brel song "If We Only Have Love." At one point I mentioned this to Tim Bruneau, and he encouraged me to arrange the song for California Desert Chorale. I renovated my original 1971 work by adding vocal soloists and instrumental accompaniment. Upon hearing the first draft, Tim invited me to rehearse and conduct the work during performances. Little did he or the singers know that it had been twenty-three years since I had previously stood in front of a chorus and orchestra as a conductor! However, everything went well and I really enjoyed Tim's generosity and the audience's responses. 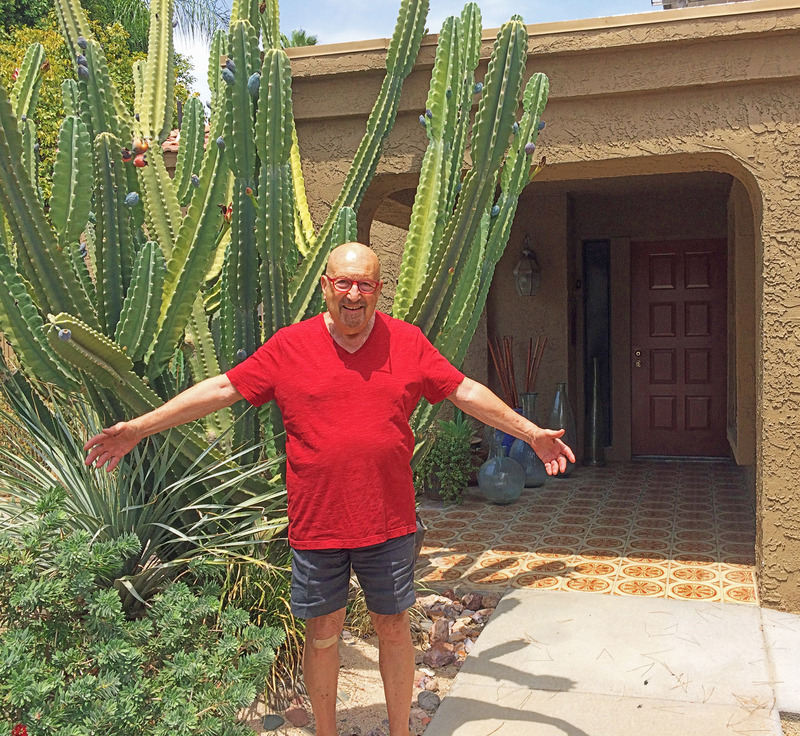 Beginning around 2007, a local entertainer who loves old Broadway and Hollywood songs presented a popular show at various Coachella Valley venues. The entertainer is Jim Borax, and his show was entitled "Jim Borax's Sing-Along and Talent Revue." He would distribute song lyric books to the audience and lead them in singing old standards. I started playing for Jim's shows around 2010. At that time about 70% of each show consisted of audience sing-alongs, with 30% being solos by professional singers. I've continued playing for Jim's shows since then and have noted an interesting trend: Today in 2017 about 10% of each show consists of audience sing-alongs, with 90% being solos and duets by professional singers and dancers. Jim's shows are now entitled "Jim Borax's California Cabaret." 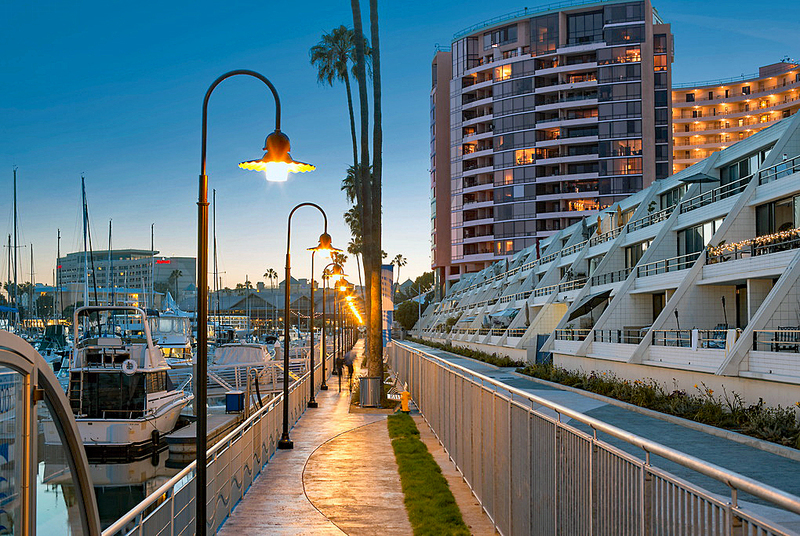 Back to the business at hand: In 2017 Jim Borax's California Cabaret presented a very successful show at a new venue for us, the Marina City Club in Marina Del Rey. For that occasion I finalized a duet for Perry Ojeda and Mary Ann Hermansen, wherein I re-arranged a 1969 TV performance by Sammy Davis, Jr. and Diana Ross, wherein Sammy and Diana had performed a medley of music made famous by Fred Astaire and Ginger Rogers in the 1930s. I wanted to call it "Perry & Mary Ann singing Sammy & Diana singing Fred & Ginger," but common sense prevailed. The arrangement became "Tribute to Fred and Ginger." 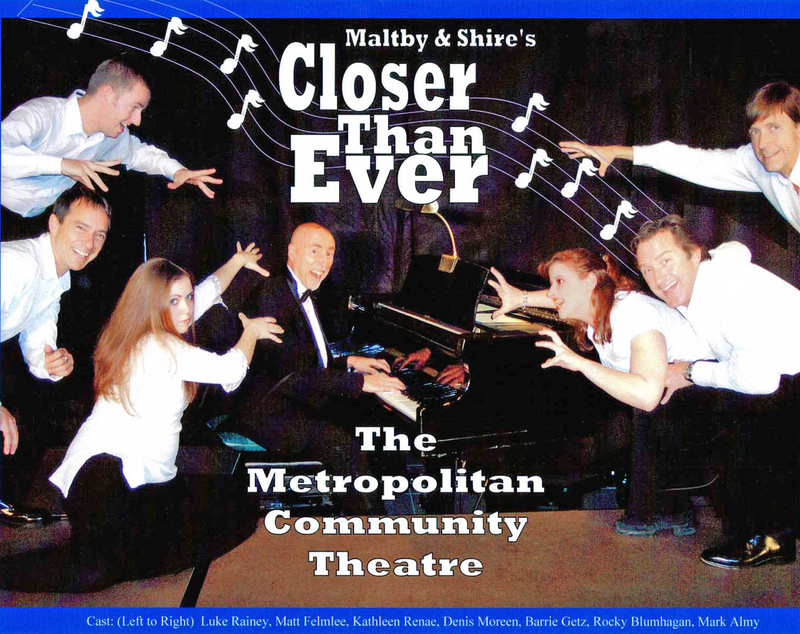 In my first year in Palm Springs, I served as musical director and pianist for a great production of Closer Than Ever. Director David McLaughlin welcomed me to the wonderful world of Coachella Valley music. 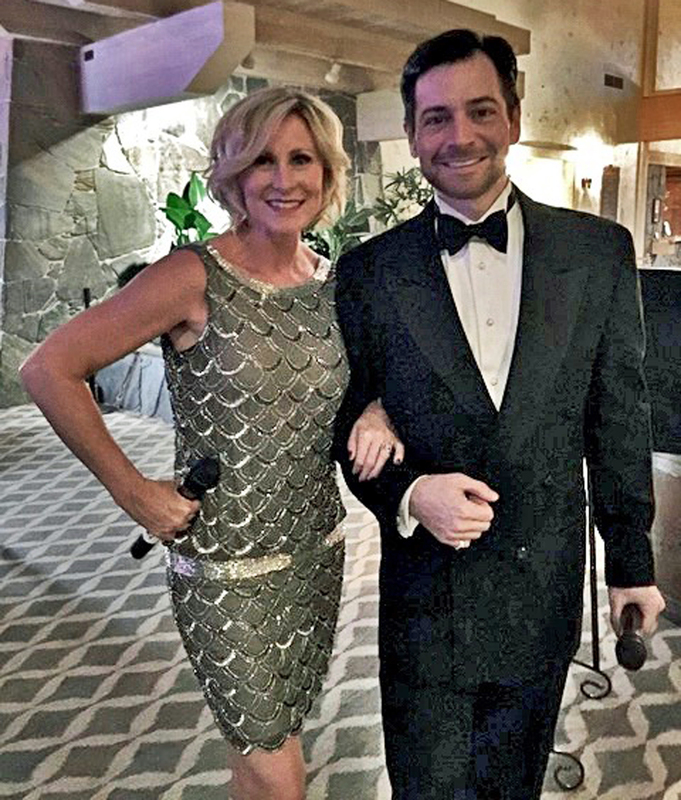 In my seventh year in Palm Springs, I worked with Lisa Robinson in her stage production of Flying Scud!, a nineteenth-century melodrama brought into the twenty-first century. I had so much fun arranging and playing the music, as evidenced by my very smiley face you see at the top of chapter 1 in this website. In my twelfth year in Palm Springs, I traveled to San Francisco to serve as guest accompanist for a concert by Ragazzi Boys Chorus. Director Joyce Keil welcomed me back to the wonderful world of Ragazzi music.